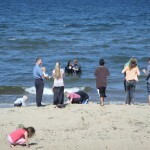 The Grace Brethren Church, Menominee, Mich. (James Burke, pastor) celebrated one year of meeting as a church on Sunday with a baptism service in Lake Michigan. 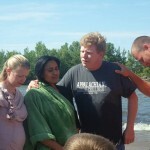 “We baptized three new believers,” Pastor Burke reports. 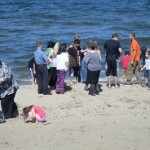 Some photos of the event are included here. 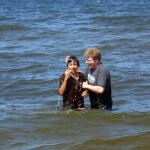 For additional images, see the Menominee Grace Brethren Church Facebook page. 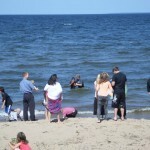 Pastor James Burke prays after the baptism service. 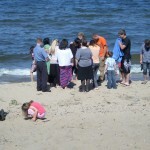 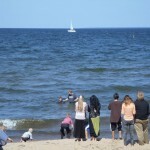 The Grace Brethren Church, Menominee, Mich., marked its first anniversary with a baptism service in Lake Michigan.